Celebrating a huge success in Albany! More than 100 supporters joined us on Thursday, September 22 for An Albany Celebration, a cocktail party benefiting the Empire State Pride Agenda. The event was generously hosted by Albany restaurateur, blogger, activist and philanthropist Matt Baumgartner at his beautiful North Albany loft. Supporters from across the Capital Region joined in the celebration, and included elected officials, union and community leaders, people of faith, business owners, activists and past and present members of the Pride Agenda Board of Directors. There was clearly a lot to celebrate at the event, including this summer’s passage of the marriage equality law and the commencement of weddings, as well as the 20th Anniversary of the Empire State Pride Agenda. Libby Post, long-time Albany activist and founding Co-Chair of the Pride Agenda Board of Directors, welcomed guests to the event and introduced Pride Agenda Executive Director Ross Levi. Ross spoke of how important the community in the Capital region is to the work of the Pride Agenda and thanked guests for supporting our work for two decades. He also shared a vision of the organization’s work in a post-marriage New York. Thank you for helping to make this event a great success! 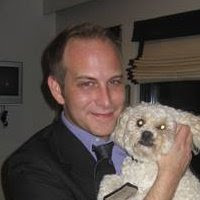 For more information about getting involved in future special events in the Capital Region, please contact Roger Calderon at rcalderon AT prideagenda.org. 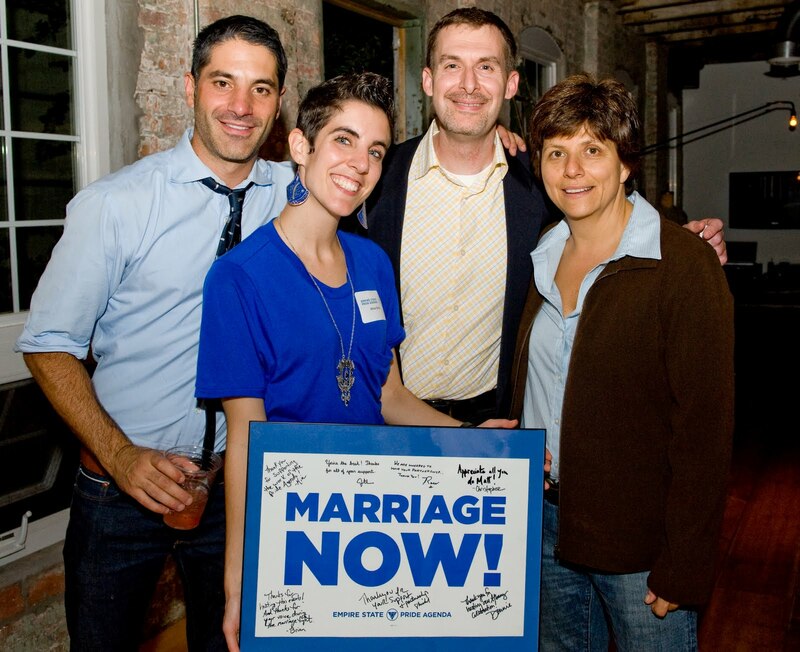 Last week volunteers from the Pride Agenda, Human Rights Campaign, Marriage Equality New York, OutSpoken for Equality and the Stonewall Democrats of Western New York got together to celebrate the successful campaign for marriage in the Queen City at Allen Street Hardware in Buffalo. The tireless work of volunteers in Buffalo, New York State’s second largest city, helped deliver two critical votes for the Marriage Equality Act in the state senate this year: Senator Mark Grisanti and Senator Tim Kennedy. About 30 volunteers gathered to celebrate the hard work on the marriage campaign. Over great food and a few drinks, activists reminisced about the marriage campaign and talked about the work ahead to ensure equality and justice for transgender New Yorkers. Buffalo should be famous for more than just hot wings. The fervor for justice I’ve seen from Buffalonians is about as hot as it gets! It can be expected that the diehard volunteers from Buffalo will again play a critical role in the campaign for transgender equality and justice over the coming year. I look forward to continuing to work in the vibrant and unique community of Buffalo as we continue to build partnerships and allies in our fight for LGBT equality and justice. Last night Rochester area activists gathered with Director of Upstate Organizing Sheilah Sable and me, along with our local community partners - Equality Rochester, Pride At Work, Marriage Equality New York and Human Rights Campaign - to celebrate the hard work that our community put into this year’s successful marriage campaign. The work of all our organizations and our steadfast volunteers was critical to Sen. James Alesi becoming the first Republican in the Senate to come out publically in support of marriage for all loving couples in New York State. About 40 dedicated volunteers joined us at Shea’s Restaurant in Rochester, with entertainment for the evening provided by Deb Mangione. Volunteers are the backbone of all of our organizations. They help all of us to achieve the many victories that we have under our belts, and at times when we get discouraged their tenacity reminds us of why we do the work we do. Fittingly, one of the couples who volunteered on the marriage campaign actually booked the restaurant where we held the event last night for their wedding rehearsal dinner in October. The Pride Agenda, Equality-Roc, Pride at Work, MENY and HRC have been privileged and lucky to share and work with so many talented and dedicated volunteers in Rochester. I personally look forward to continuing to work with all of our volunteers as we push forward on winning full equality and justice for LGBT New Yorkers and our families. There was much talk last night of the broad and cohesive coalition that was built in the Rochester region through the marriage campaign. While everyone took the time to celebrate by enjoying some fabulous food (I’m going to have to run a few extra miles this week after all of those chicken and waffle bites) and a few drinks, there was a clear sense in the air that while marriage is a huge victory for our community, we still have work to do to ensure equality and justice for all New Yorkers. All of the speakers talked about taking the momentum we have built in our community and using it to work together to finally pass a statewide transgender rights law. Please email me at abashaw AT prideagenda DOT org to get more involved in Western New York, and check out the rest of the photos on our Facebook page.